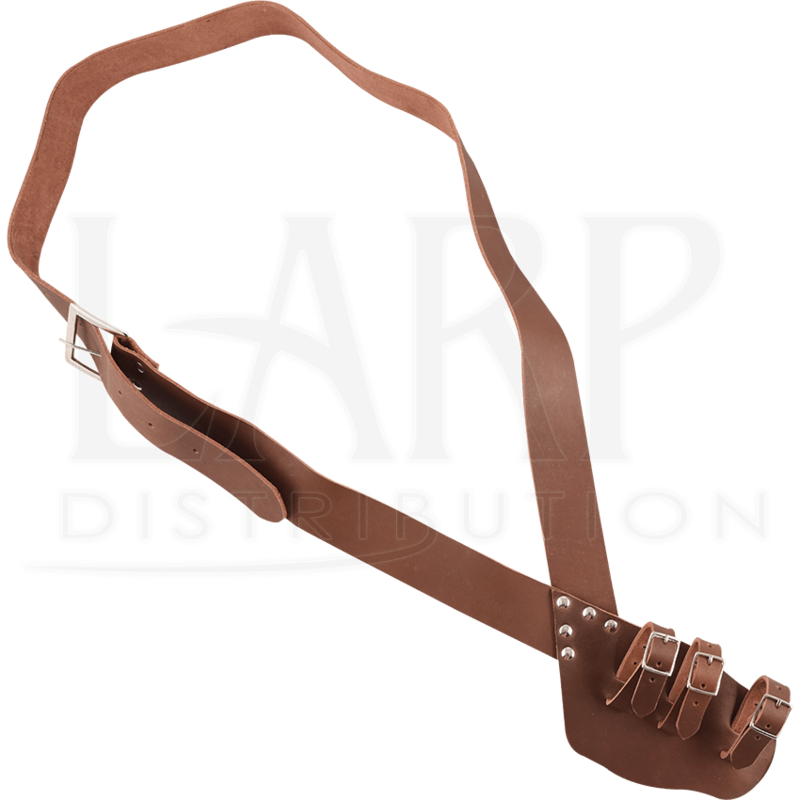 For warriors who prefer to carry their weapon from their shoulder, the Triple Buckle Brown Leather Baldric makes a fantastic functional holster. This leather sword holder features three adjustable straps for securing various weapons. 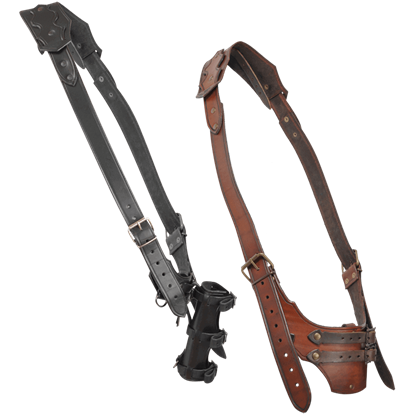 The steel tone buckled straps can easily fit a sword or a LARP weapon, and the wide shoulder strap has a large square buckle closure for an adjustable fit. This medieval leather baldric makes an excellent addition to a wide variety of historical or fantasy outfits for LARP, reenactment, costume use, and more. Transport your essentials in a unique, easy way with the Castagir Baldric. 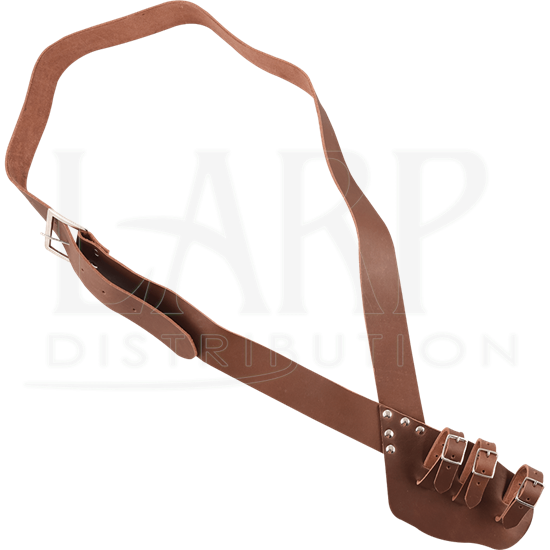 This leather shoulder belt features a hip panel with buckled straps for attaching various items, particularly designed for use with the Castagir Sword Frog.